A rare title as it existed for less than six months. 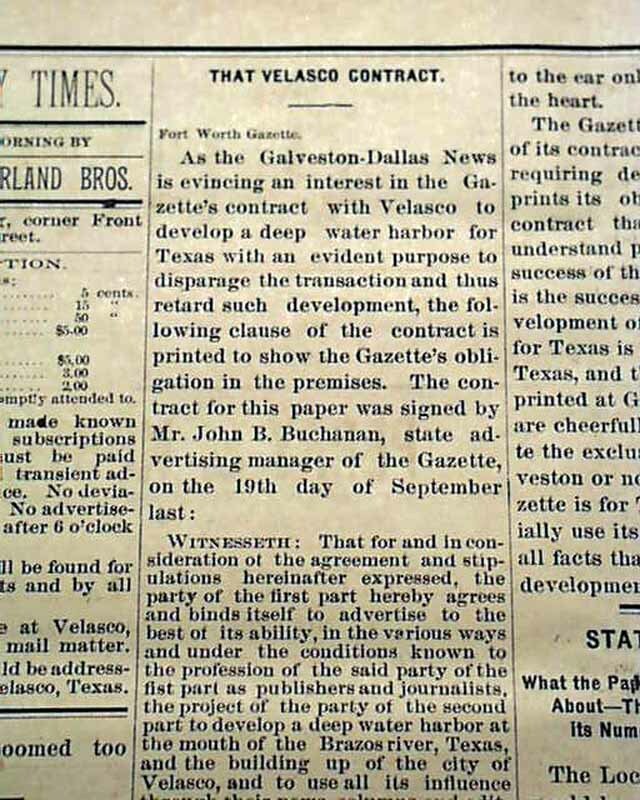 Velasco was a town in Texas that was later annexed by the city of Freeport. 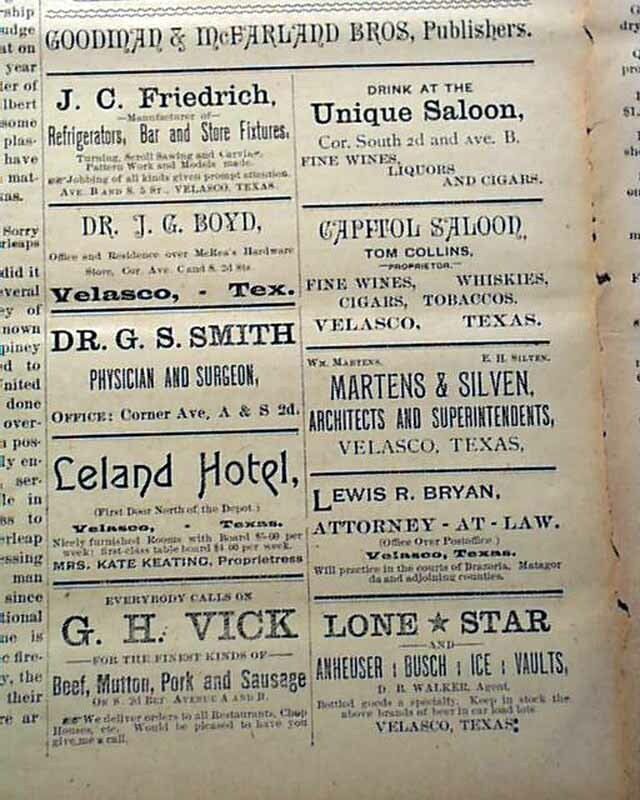 Founded in 1831, Velasco is situated on the east side of the Brazos River four miles from the Gulf of Mexico. 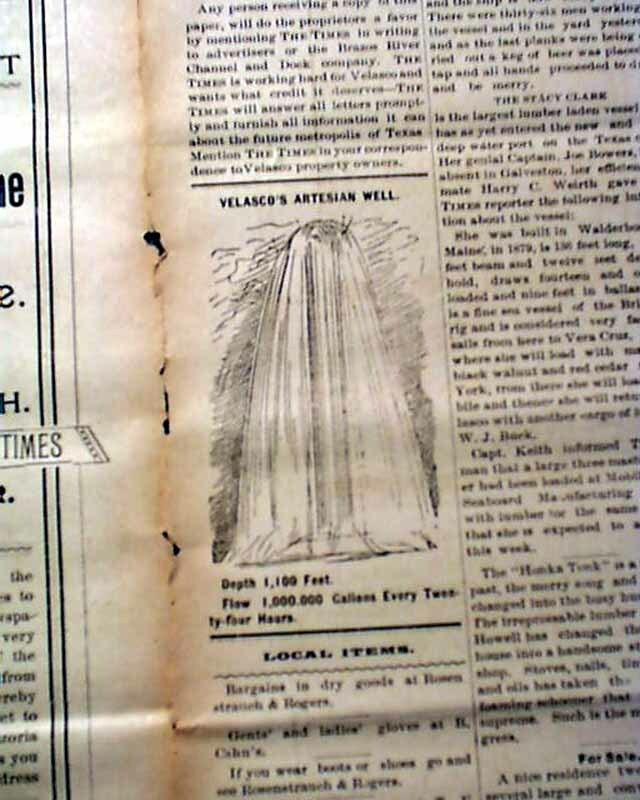 The town's early history is closely tied with the Battle of Velasco and the Texas Revolution. 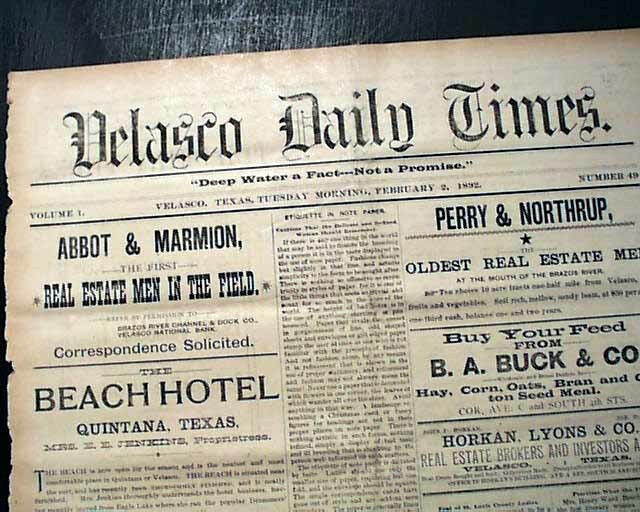 Velasco was an important entry point for American settlers in Texas. 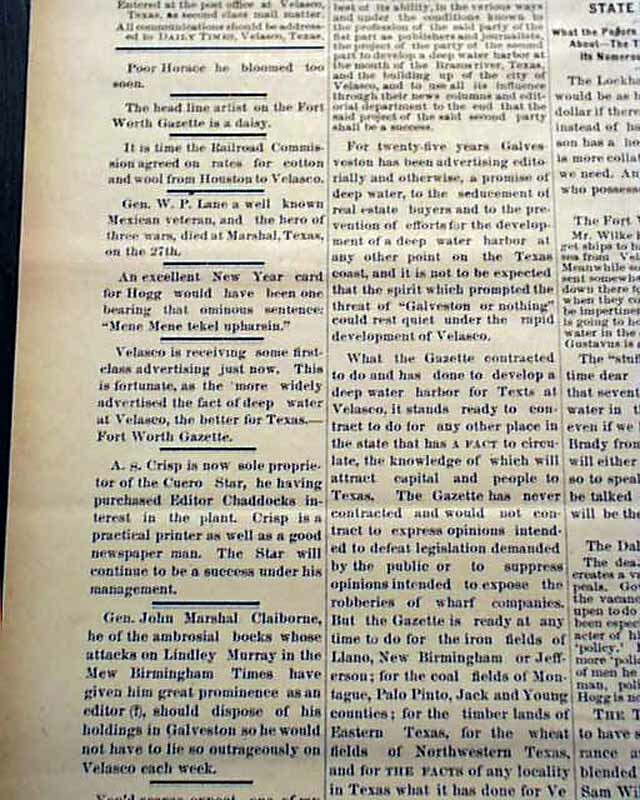 In 1836 following the decisive Battle of San Jacinto, Velasco was named a temporary capital of the Republic of Texas by the interim President David G. Burnet. 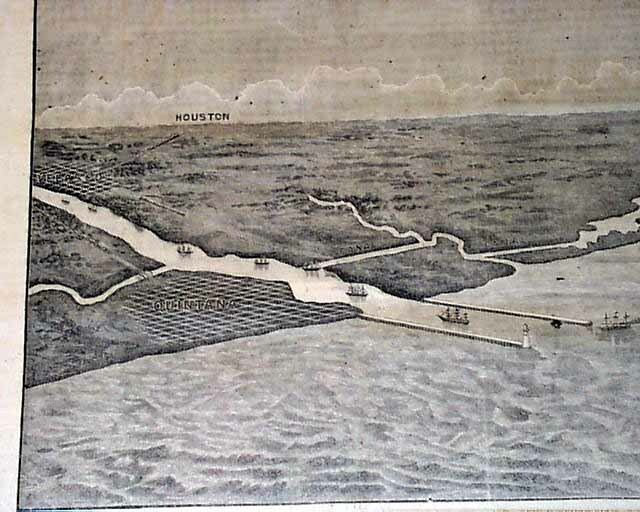 In 1837, the final actions of the Battle of Brazos River occurred there. This title is not held by any institution as the only holdings noted were purchased by us. 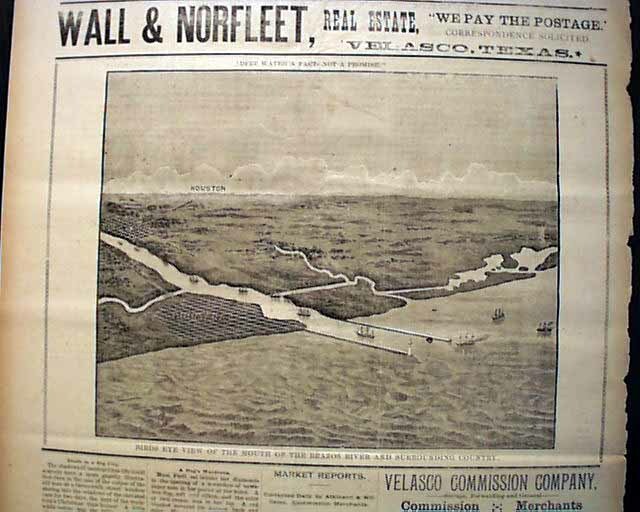 The prime feature of this issue is the terrific & large back page illustration which shows a: "Bird's Eye View of the Mouth of the Brazos River and Surrounding Country" which shows the towns of Quintana & Velasco and a notation of Houston being in the distance. This map takes close to half of the page. Displayable in itself. Various news & advertisements of the day. Four pages, 12 1/2 by 19 1/4 inches, a little irregular along spine, generally in good condition. Should be handled with care. 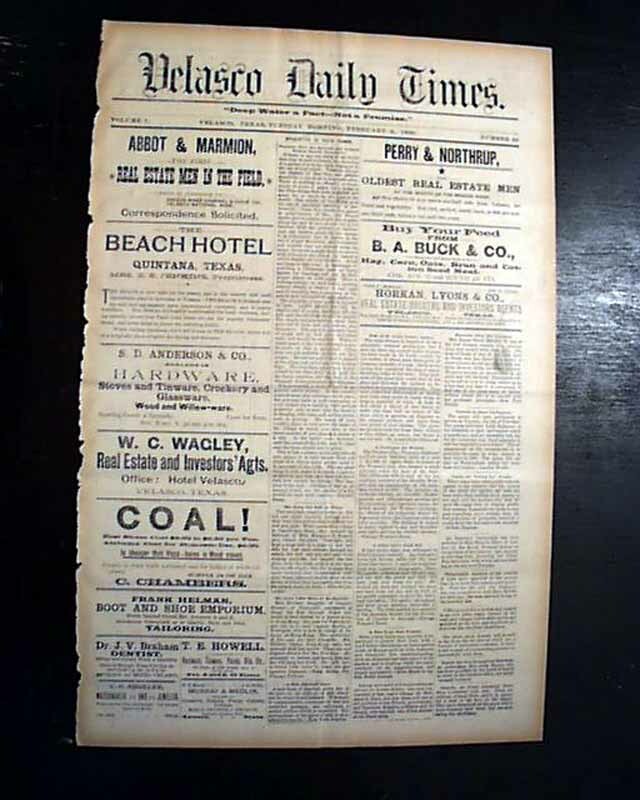 * Note: This issue comes from a small set formerly held by the KS Historical Society - a collection which, according to Gregory's Union List of Newspapers, is the only set known (as of the date of this listing) to exist.